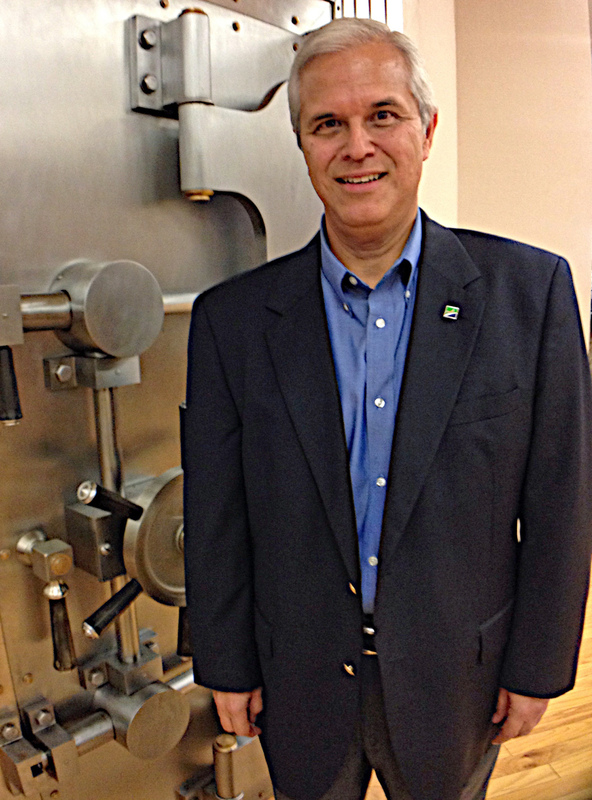 Greater State Bank President and CEO David Salinas in front of the vault. David Salinas’ first job in banking was to make sure the candy bowls for customers were kept full at First State Bank on the downtown square in his hometown of Edinburg. Greater State Bank, with locations in McAllen, Weslaco, Falfurrias and Hebbronville, does not match the volume of business and accounts Salinas oversaw as an executive vice president/chief lending officer for both IBC and Inter National, but Salinas said the dynamics of a small bank suit him. Greater State has its roots in Falfurrias. The company would later open a bank in Hebbronville. In 2010, the company made a significant leap in entering the Rio Grande Valley market. 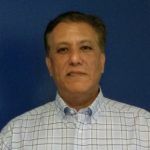 The same core values of exceptional customer service and maintaining hometown values were brought south from the bank company’s rural roots to the more urbanized Valley market. Its board reflects that blending of influences. Original family and legacy board members, C.T. “Pete’’ Hornsby and Bill Talley of Falfurrias, serve with prominent Valley businessmen like Bud Payne, Foss Jones and Robert Lozano. Salinas’ leadership style is one that comes from humility and steadiness, a bit understated but at the same time confident with enthusiasm to get the job done – and to get it done right. His resume reflects a banker who started his career at the most grassroots levels working part time as a high school student at First State to getting his education at then-Pan American University, working his way through college with the help of internships at the Comptroller of the Currency. High level executive jobs at IBC and Inter National Bank would eventually follow, and are all experiences Salinas cherishes and applies to his leadership of Greater State. In becoming Greater Bank’s CEO and president in late 2015, Salinas moved to focus operations on fewer products and doing them better, with its niche always on serving small businesses. Greater State is itself a small business, Salinas said, so he said his banks understand the challenges such businesses face. Knowing customers by their first names and remembering their family members are community banking attributes, Salinas said, as is knowing you will be asked to do more than one job at a smaller bank. 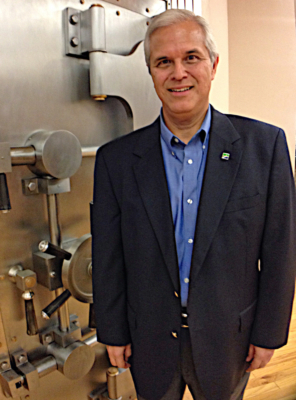 “You will become a well-rounded banker at a smaller bank,” he said. “There are no specialists. If there’s a problem, you’re the one that has to fix it.